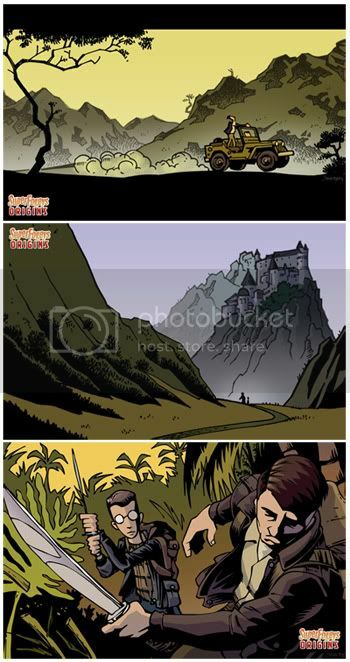 DID YOU SEE THE NEW SUPERFOGEYS ORIGIN? All three wallpapers can be yours for a donation of ANY amount to the continuing production of the SuperFogeys. Just click here and the Thrice Evil Page One Pack will be yours just as soon as quick as I can get it to you! 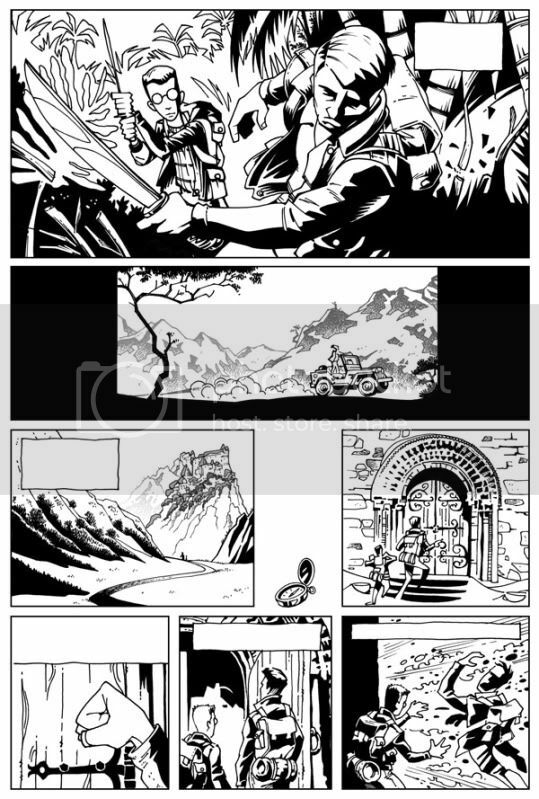 Mr. Ogden is such a gentleman that he thought you might enjoy taking a look at the inks for Thrice Evil page one, which are gorgeous (my words, not his!). SuperFogeys Vol. 1 is 25% off for the holidays–just $14.99 (plus shipping)! There’s less than two weeks left to get your submission in for the Very Merry Guest Strippin’ Xmas. All entries should be sent to me at bwhheasley (at) gmail (dot) com. Full details and specs here! On Tuesday, the origin of the Thrice Evil continues and a few characters we’re all familiar with show up! Then, on Thursday, is SuperFogeys 289–an episode you DO NOT want to miss. It’s the most important SuperFogeys episode since the Big Reveal!